No internet for 24 hours? I can’t believe it. First, when I found out that there would be no internet service for a week, all kinds of thoughts about how to perform my work raced through my mind. I was working in my home office where I had converted my sewing table to computer desk, because, I had converted the computer desk to a sewing machine holder, when my son came into the room to tell me that the internet was not working. Hearing my son’s complain, I went to the internet box to troubleshoot it with no luck. While I was doing this, my nine-year old waited impatiently to get back on the computer to play his online game on YouTube. After trying with no luck, I decided to pick up one of the Century link’s bill for the customer service number. The technician who spoke with me learned about all the steps that I had taken to troubleshoot the device to no avail. He said, I will have to order a technician to come down to your apartment to have it fixed. Meanwhile, I have to tell you that there is an $85 charge if the problem is inside.” I asked, “$85? Inside, where?” Then he explained that since the problem could not be fixed from his end, he would need to order the service of one of their technicians to come down to fix it. He continued by saying that if the problem is found outside of the building, the company will bare the cost, but if the technician have to fix the problem inside the wiring in my apartment, then I will have to cough out $85. No internet for 24 hours: What do I do? At that point, I didn’t care about the cost, but for internet to be available to enable do my work. But before he hung up, I asked if I would be charged for the days that without internet service and he referred me to customer service after the restoration of the internet. Another blow that accompanied the $85 possible charge was the fact that there would be no internet for a week. “A week?” That did not go down well with me as I was curious to know why it had to take a week for it to be fixed. The technician tried again to reach one of their road technicians to find out if there was any earlier time open. The news was not better. He said that there was no opening; however, he noted that the technicians have escalated the matter to make it a high priority should in case someone cancel’s then they would come to me. Many things were disrupted. I couldn’t watch an online video that I was supposed to watch ahead of a meeting. Perhaps, it didn’t make any difference because I had gone for a doctor’s appointment and whatever medicine I was given made me sleepy anyway, so I spent about two hours in the afternoon sleeping helplessly. My nine year old did not find it funny. When I woke up from sleep, I had to run down to the office late in the evening to work. I had an online show coming on in few days and needed to set it up. I went to the office to quickly set up and began to prepare myself mentally to wake up on Monday at 4:00 AM to head over to the office to be able to do my two Live shows online at 5:00 AM and 5:30 AM respectively. The lack of internet at home was kind of helpful. I made use of Hootsuite, a social media scheduler that I have had for over five year but rarely use. I used it to schedule the upcoming show, Monday Motivation with Bukola, to promote it on Facebook, Twitter, and LinkedIn. I also went to the office earlier than I usually would this morning. I created a launch schedule for my upcoming book, A Living Label and did three Live broadcasts – one on Periscope, and two on Facebook, to invite people to join the Insiders. As an Insider, you get to be the first to read chapters from the book. You will also have the opportunity to ask me questions, plus, this is a great opportunity for you, if you plan to write your own book. You can learn from the steps that I am taking to write and publish my book for yours. Click here to become an Insider today. 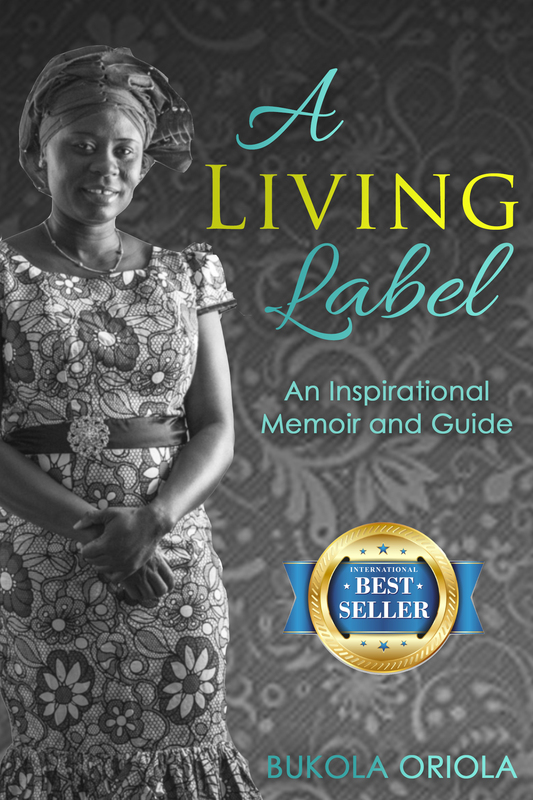 A Living Label is a sequel to Imprisoned: The Travails of a Trafficked Victim, my first memoir. You can get your copy here. Miraculously, this afternoon, my son, whom I saw wrote on his computer, “No WiFi is boring” came to announce the internet restoration. I was happy too, as this will reduce the stress to get to the office before having access to the internet for work. What experience have you had with no internet? Share it below. Thanks for reading. I hope to talk to you again through my blogs. If you have questions, comments or suggestions, please, send me a note – fill out the contact form. I want to hear from you. You can also get my recent posts by signing up to receive updates. Bye for now, until next time. 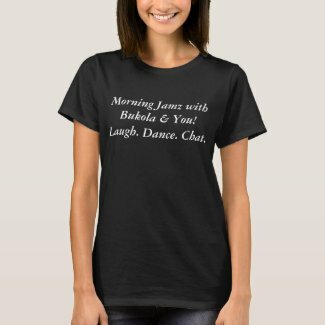 Become a Fabulicious Fan of MJWB&Y! Get Your T-Shirt Now. Be the first to hear from Bukola.